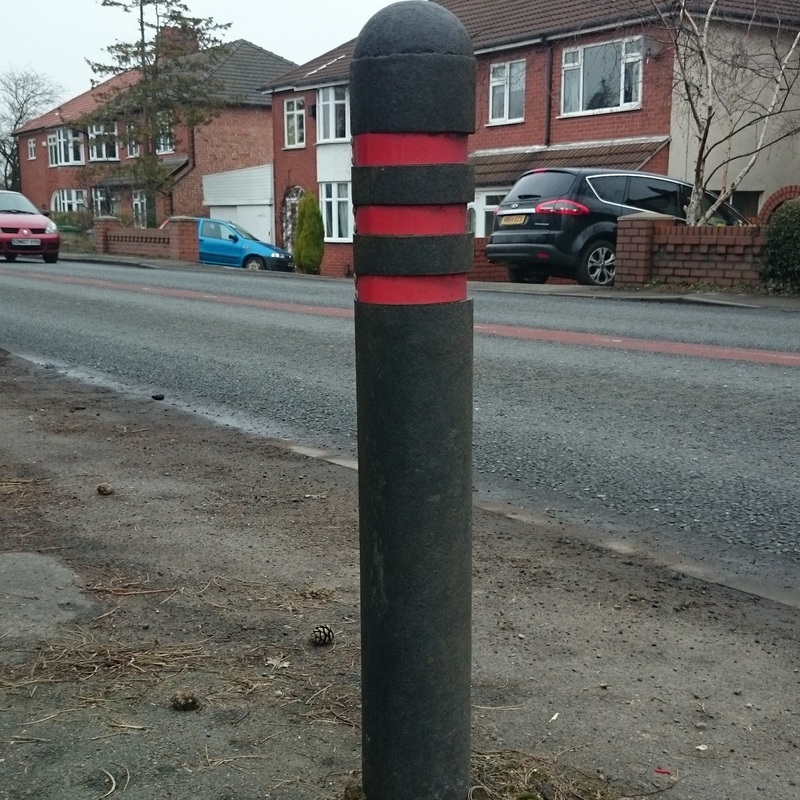 This is the Bollard you see everywhere, from your local supermarket to high street. 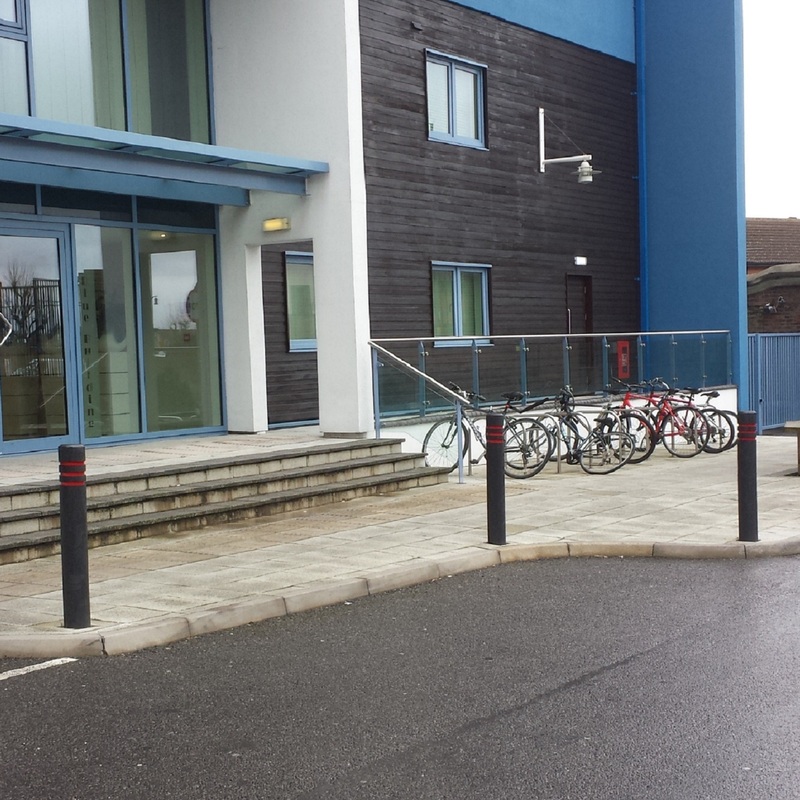 We offer the option of having up to 3 recess groves on the Recycled Plastic Bollard c/w banding in a range of colours. Our Recycled Plastic Bollards are made from 100% recycled consumer waste. 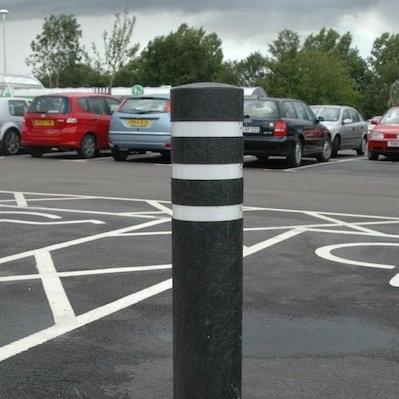 The Recycled Plastic Bollard is very popular bollard for use in car parks, parks and all pavements. It is made from 100% recycled waste. With the grained outer making them a alternative to the Timber Bollard. For banding the bollard will need a recess grove. 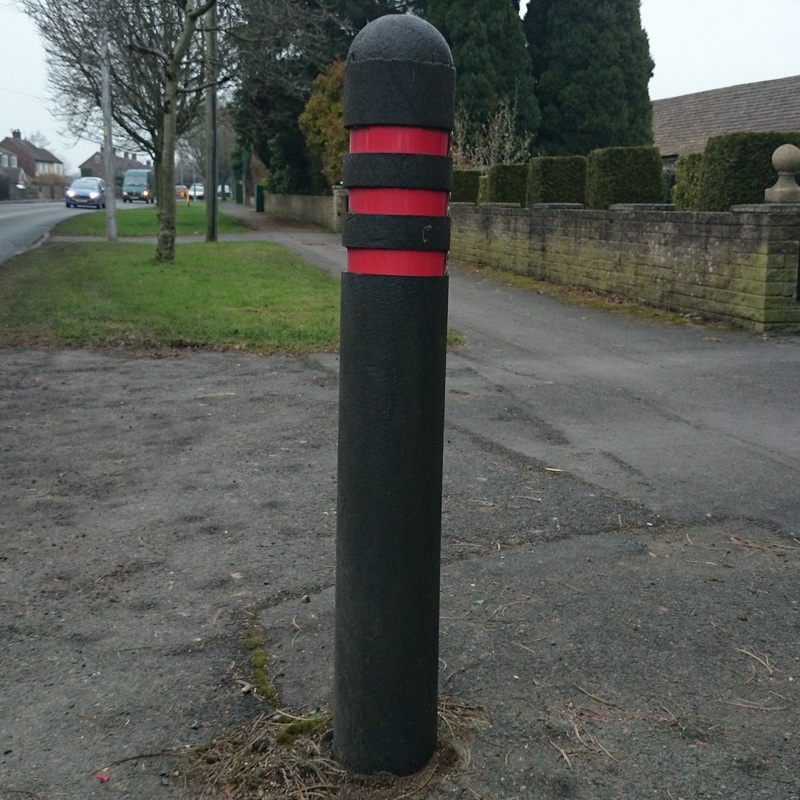 We required one bollard after someone had a collision with the previous one, because of the area the bollard was we need to replace this quickly. We only had to wait 1 day for delivery.